A self finance professional college is coming up to open for next academic year onwards (2011-2012) at Thiruvananthapuram. Narayan and Vaidyanadhan Charitable & Educational Trust is promoting the college of Architect Thiruvananthapuram (CAT)for the study and advance research in architect. A self dependence professional college is coming up to open for next academic year onwards (2011-2012) at Vellanadu in the city suburbs. The veteran architect expert N. Mahesh is the chairman of the Narayan and Vaidyanadhan Charitable & Educational Trust which is establishing the college that is named as the College of Architecture, Trivandrum (CAT). The CAT will provide the amenities in the fields of building construction management and green building technology. In the very first academic year the first private college of architecture would provide 80 seats for students for the B. Arch (Bachelor of Architecture degree course). In initial stage, the college has the campus which can absorb around 500 students, hostel facilities for the students and accommodation for teachers. 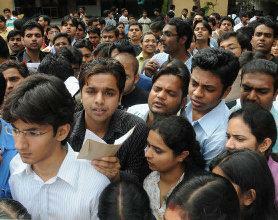 The CAT which is affiliated to Kerala University with certification of (AICTE) will propose Rs. 180 million for research conveniences in the fields of building construction management and green building technology. According to N.Mahesh, Chairman of the Narayanan & Vaidyanathan Charitable & Educational Trust, which is the supporter of CAT, is envisioned that it will open the way of feasibilities for the study and high research in architect, Interior planning technology, building houses, environment protection, landscaping and constructional design. The students of CAT will get an opportunity to obtain LEED AP certification of IGBC with their Bachelor degree and also they will make sure the trainings in the green building fields by the cooperation of Green Building Council. The professor Jayakumar J.Pilla who is the master-mind of Kozhikode national Institute of Technology, has been selected as the principal of CAT. Grama panchayats are local government at the micro or village level in india.It can be set up in villages with minimum population of 300.
keral one of the smallest state of india covering a geographical area of 38863 sqkmts. 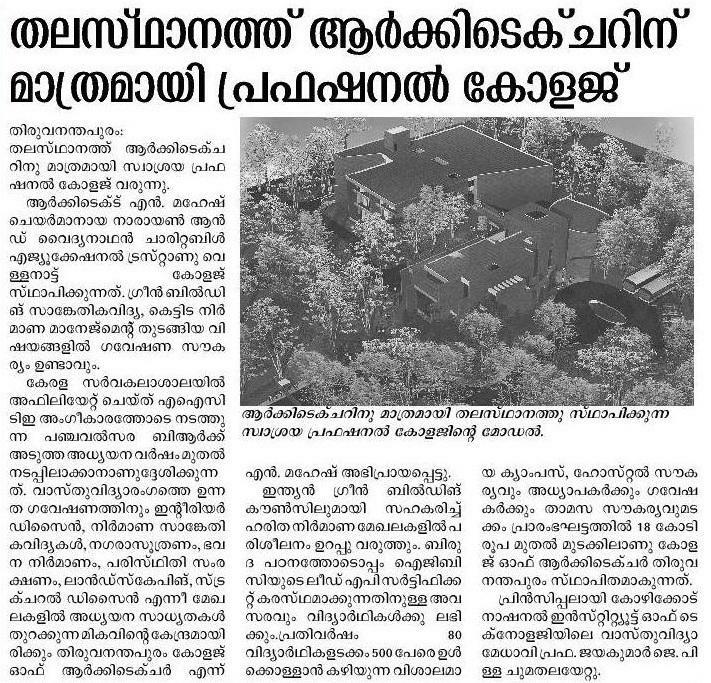 For those who want to know about Thiruvananthapuram panchayat offices. Thiruvathira is an important festival in Kerala celebrated by the womenfolk. This is in commemoration of the death of Kamadeva - Lord for Love. "Kaikottukali" and "Oonjal Kali" (Swing) are the special amusements. Introdution of a new crdit cards in the markets.